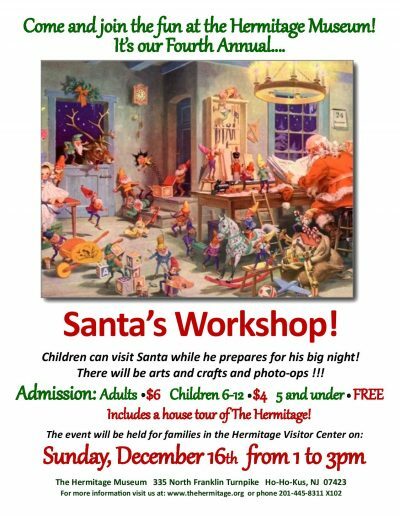 Santa Claus and his elves return to his workshop at the Hermitage Museum’s Visitor Center to greet children and families while preparing for the big night! There will be vintage toys, trains, Christmas trees, holiday decorations, music, and refreshments – and children can spend time at the holiday crafts tables. Come and experience a memorable day filled with photo ops!